The age of clever satirical films covering apocalyptic and dystopian futures is over, and the age of Hollywood blockbusters capitalizing on the titillating anxieties of the world ending, be it by the infamous zombie betrayal, Al Gore’s global warming, or the ever mischievous Chinese; has taken over. It’s a new world. This time, Black Swan’s Academy Award nominated director Darren Aronofsky has decided not to expand on contemporary fears such as terrorism, tidal waves and viruses, but to retell one of the world’s most faithful tales of mass destruction. With the story in the hands of the highly original Darren Aronofsky this film should be more character driven then it’s apocalyptic predecessors, giving the protagonists more internal and external challenges then just escaping the volcanic eruption by way of single piloted plains. While known for his independent film style poignancy that tells eerie tales of troubled characters in films such as Requiem for a Dream, The Wrestler, and Black Swan, Aronofsky has also brought spiritualized worlds to a high budgeted realization in films such as Pi. It was the few, but mighty, shocking scenes that gave the low budgeted films their aura, but this time around Aronofsky will have to do more with more as he presents the devastating wrath’s of god. It will be interesting to see how Aronofsky balances his affinity for the simple thrills versus the breathtaking canvas’s, but because I mostly see wide shots, silhouettes and CGI created trees and animals, I predict he will rely mostly on the latter. 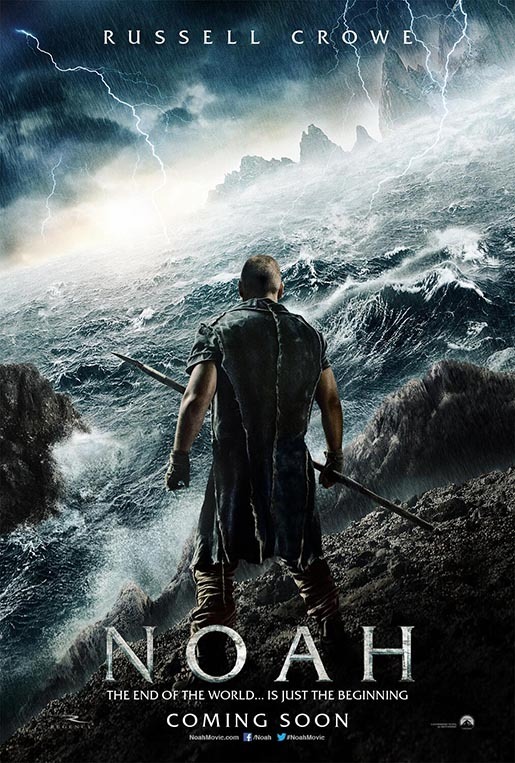 Noah is directed by Darren Aronofsky and written by Ari Handel and Darren Aronofsky, with cinematographer Matthew Libatique, composer Clint Mansell, editor Andrew Weisblum, executive producers Chris Brigham and Ari Handel. Noah will star Russell Crowe, Anthony Hopkins, Jennifer Connelly, Logan Lerman and Emma Watson.